The Cowboys will be looking to bring their record to 1-1 this weekend when Eastern Michigan (0-1) out of the MAC comes to Laramie. 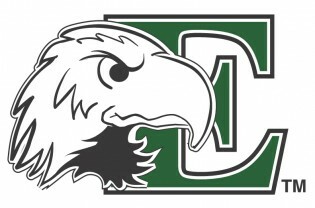 So you can learn a little bit more about the Eagle football program based out of Ypsilanti, Michigan we have teamed up with Jeremy Rosenberg of EagleTotem.net to do a Q&A on Eastern Michigan. I answered some questions about the Cowboys for them and you can read their post here: Q&A with WyoNation. On to the questions! Q: Eastern Michigan will travel out west to take on the Cowboys in Laramie. How have the Eagles done recently and historically when playing games out west? A: The short answer for how EMU has done on the road, anywhere — east, west, north, south, and all points in between — is that they have been abysmal. EMU hasn’t won a road non-conference game since the Clinton Administration. That is somewhat misleading, as for years EMU’s road games were sacrificial slaughters at the hands of Power 5 teams, all for a program sustaining paycheck. Still, a record that lowly speaks for itself. The last time EMU almost won an impressive road game was in 2009, when they lost by three points at Northwestern. Historically, Eastern’s last noteworthy victory west of the Mississippi was the 1987 California Bowl, when EMU beat San Jose State in Fresno. 1987 is also the last time EMU has played in a bowl game. Q: The Eagles starting QB Reggie Bell was injured with a jaw injury and a possible concussion in the season opener versus Old Dominion. What is is status for Saturday? How big of a drop-off is there to the back-up Brogan Roback? A: Bell’s official status is questionable, but my guess is that he will not play. If he does, Bell is a legitimate dual threat QB, a better runner than passer but his speed forces defenses to keep him honest, which can create opportunities in the passing game. Bell’s problem is durability. He rarely slides to avoid contact, and at 180 pounds he takes a beating. If Bell is out, Brogan Roback is a credible backup, but lacks the game changing ability of Bell. Roback was recruited by previous head coach Ron English, who ran a traditional pro-style offense. He is much better suited to a role as a traditional drop-back passer. The new offensive coordinator has implemented a spread offense, which does not maximize Roback’s abilities. If Roback plays, the threat of the big play is reduced, but I would not say that it is an automatic loss for EMU. So to answer your question I would say there is a drop-off, but not so much that you can sleep on Roback. He was a highly touted recruit (for EMU), and has legitimate size and arm strength. Q: What can we expect style wise both offensively and defensively from the Eastern Michigan football team? A: This somewhat depends on who is at QB. The offense is more run-oriented, with a short to mid range passing attack that helps keep safeties and linebackers honest. I thought EMU’s offensive line played pretty well against Old Dominion, but they are not deep and I wonder if the altitude will catch up to them. If Roback does start, expect to see greater emphasis on the mid-range passing game. Defensively, EMU lost their best player, All-MAC DE Pat O’Connor, to a season-ending shoulder injury. EMU’s defensive line was already a question mark. They lack depth and experience, and it showed in the way Old Dominion was able to run the ball down their throats in the second half. EMU does have a pretty good linebacker corps, and they will line up in a 3-4, which helps utilize the linebackers but leaves them vulnerable to a solid running attack. Like the D-line, there are more questions at defensive back, especially if sophomore Jason Beck is out of the lineup. Q: I liked one of your questions so much I am going to throw it back right at you. I’m always interested in outside perspectives of Wyoming. This program has been terrible for so long, how do you react when you see Wyoming on the schedule? What, if any impressions do you have of the MW in general? A: Having been to Wyoming, I have to say that I might not be the right person to ask this question. I love the big sky, the mountains, the open spaces. You can lose yourself in Wyoming, and I mean that in the best possible way. I suppose a lot of people who live in the industrial midwest romanticize a place like Wyoming. As for the football program, another reason I might not be the best person to ask is that I went to Missouri before transferring to EMU, and I still follow Mizzou football with interest. I hoped former Tiger OC Dave Christensen would bring a Mountain West title to your program. It didn’t happen, but at least under Christensen your team has been to bowls in recent years. I would hardly call that terrible, it merely shows how your expectations are different from ours. EMU football is barely relevant. I would hardly describe Wyoming that way. I was happy to see Wyoming on the schedule, especially for a home-and-home. I consider the Mountain West a step up from the MAC, and Wyoming is a solid measuring stick for whether this program is improving or not. No Mountain West team has been to Ypsilanti, so we are excited to have the Cowboys come to Ypsi next year. As for the Mountain West as a whole, personally, I love MWC football, and feel your conference is grossly underrated year after year. It seems that each year the Mountain West champ is capable of playing with almost any other team in the country. Going back to the old WAC, I have always found the style of football to be exciting, and fun to watch. Q: The Pokes will return the favor in 2016 and play a game in Ypsilanti. Why should Wyoming fans make Ypsilanti part of their road travels next fall? I wish I could say we have a great stadium atmosphere, and that EMU is a hidden gem in the college football world. If Wyoming fans come out, they will find friendly people, good beer and good food, and probably a competitive football game, especially since both teams are so young. I expect both programs to be better next year, and that should make for a better football game.